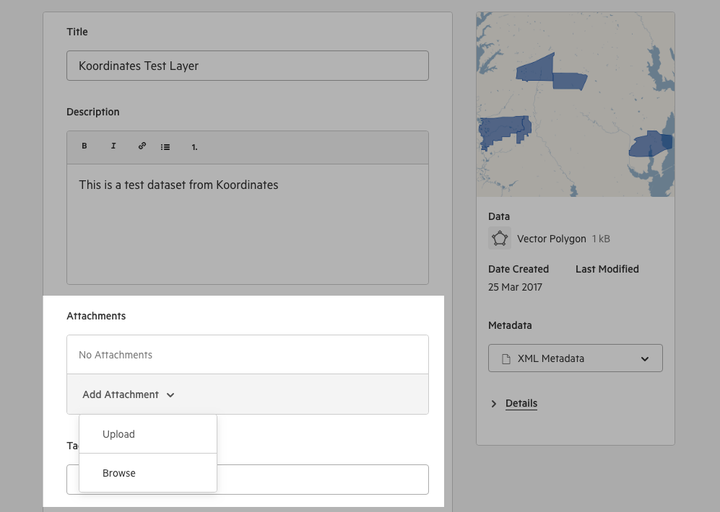 Koordinates allows publishers to attach file documents to data layers. This will provide a list of all the datasets published to your account. 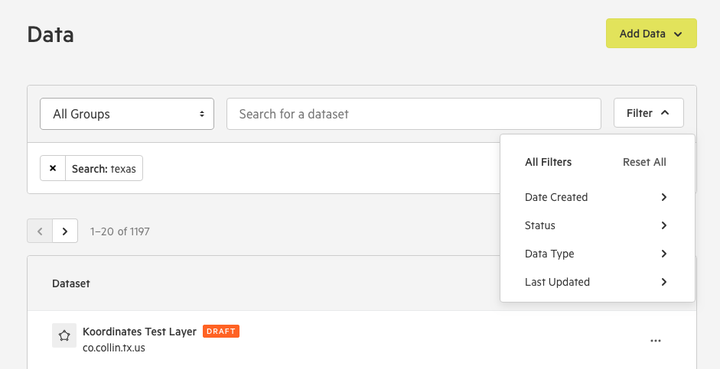 To locate your dataset, you can search by keyword and filter by group, type, status, date created, and the dataset's last update. 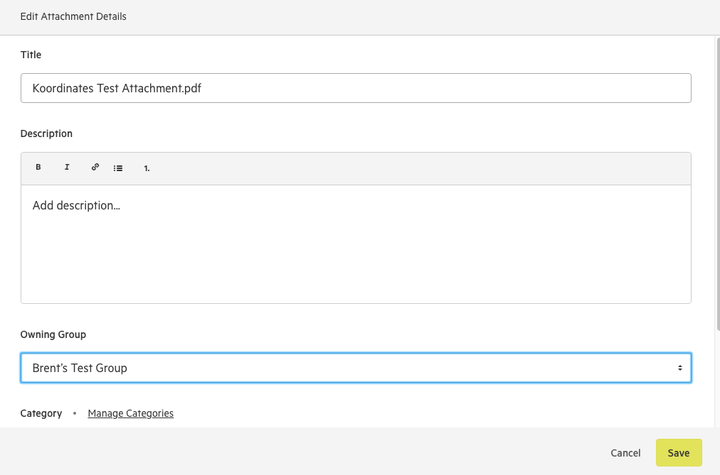 You'll have the option of uploading from your desktop, or browsing documents added previously. Note that if you are planning to add a document via 'Browse,' you'll only be able to add documents to which you have permissions to edit.